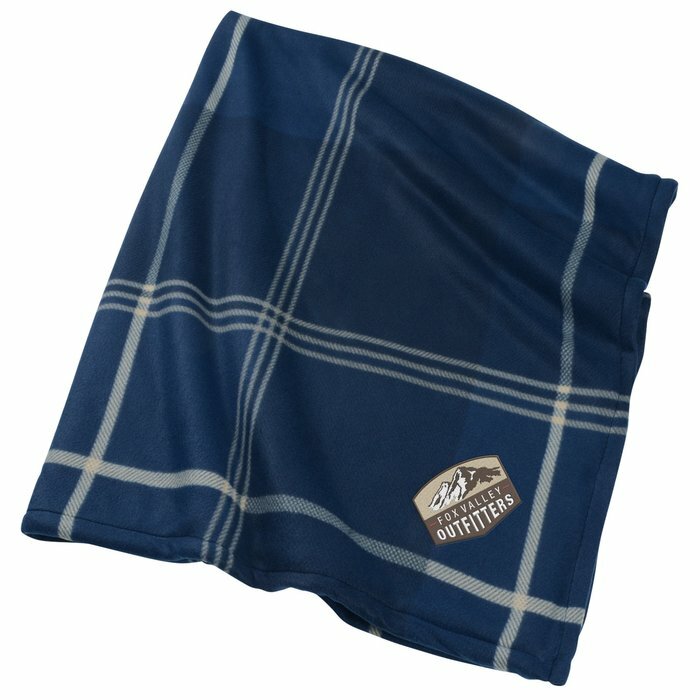 Warm them up with these logoed blankets! Comfortable Sherpa blankets with polar fleece on one side and soft Sherpa on the other. 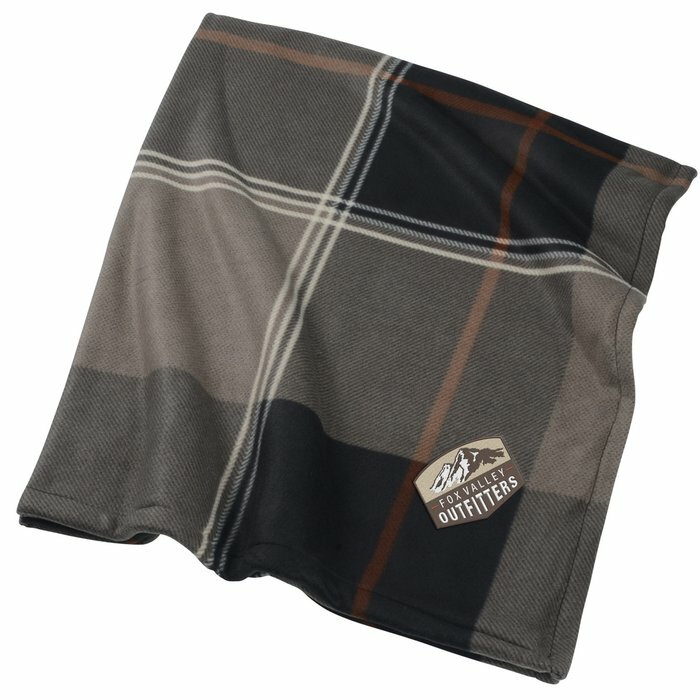 Blankets are designed with a plaid pattern that fits into every living room. 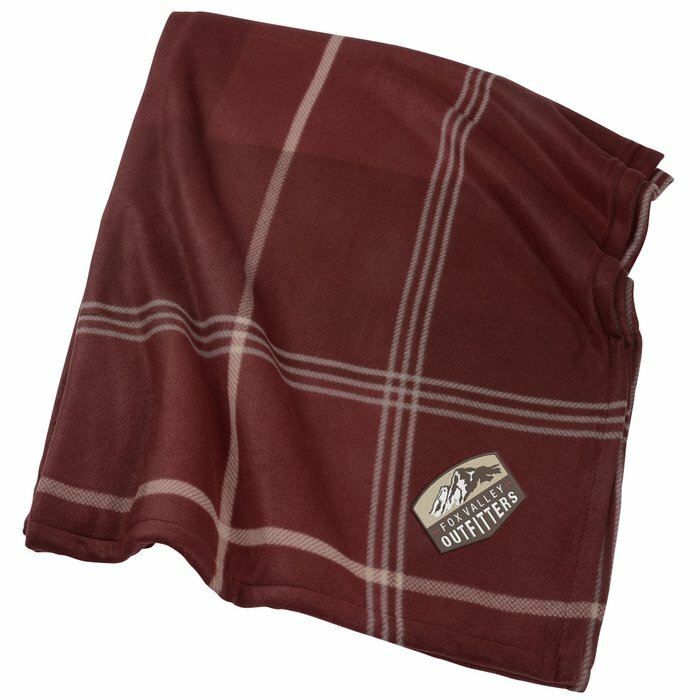 These warm Sherpa blankets help to keep them warmer on the chilliest winter nights. 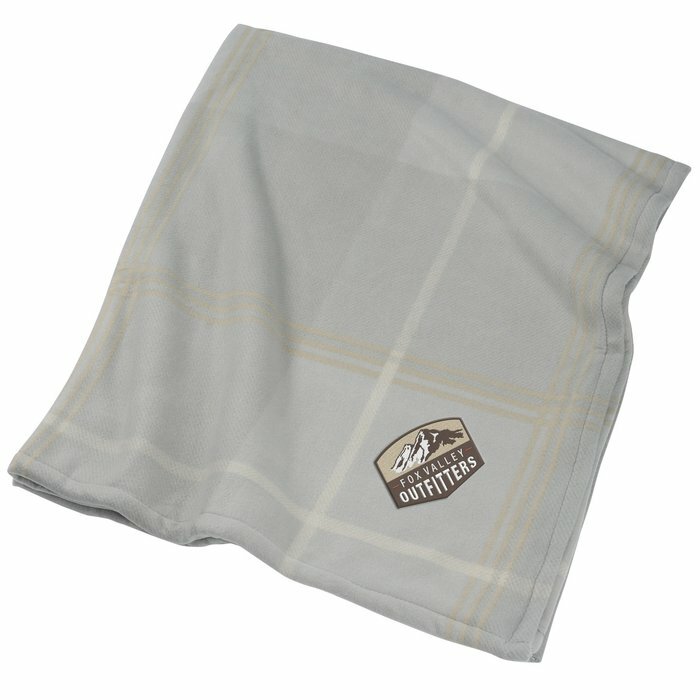 Cover them in your brand with these logoed blankets! Your price includes embroidery on the open corner bottom. One-time tape charge: add $35 on less than 24 pieces; FREE for 24 or more!